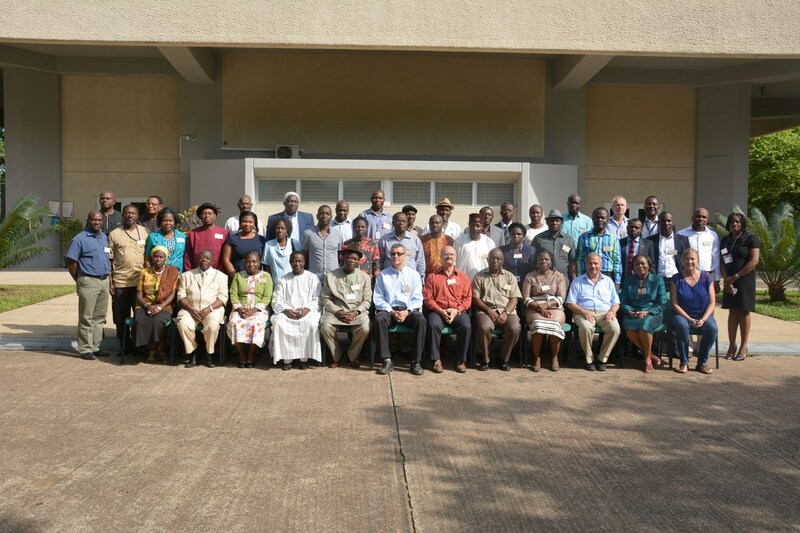 Researchers, policymakers, and farmers working under the Cassava Weed Management Project met at IITA, Ibadan, 29-30 April, to review achievements made by the project in 2014 and to plan for 2015. The meeting had 11 presentations covering the activities of the project in 2014 and provided a platform for stakeholders to compare notes and share lessons learnt. Cassava Weeds Management Project workshop participants in IITA-Ibadan. Declaring the meeting open, Dr Kenton Dashiell, DDG (Partnerships & Capacity Development), IITA, commended the project for its excellent implementation and encouraged partners to sustain the momentum and work together for the task ahead. had promised in the work plan,” Prof Kent said. Prof Kent expressed his confidence in the leadership of Dr Alfred Dixon (Project Leader) and Prof Friday Ekeleme (Principal Investigator) and lauded the participatory management style and the transparency adopted by the project leadership. It had been a great motivation to the whole project team. Earlier, Dr Dixon in his remarks, noted that the importance of the meeting could not be overemphasized for several reasons cutting across crop losses, low yield, and the negative health impact of weeds on farm families. efforts to help to solve the problem of the weed menace. For activities marked for 2015, participants at the meeting broke into four groups: Agronomy, Communication & Knowledge Exchange, Mechanical, and Herbicide Screening, and developed work plans. These were carefully reviewed during plenary sessions and then adopted. Crop Science and Syngenta; Federal Ministry of Agriculture and Rural Development; regulators – Standards Organization of Nigeria, National Environmental Standards Regulatory Enforcement Agency, National Agency for Food and Drug Administration and Control, Nigerian Cassava Growers Association, Agricultural Development Programs; and the private sector.